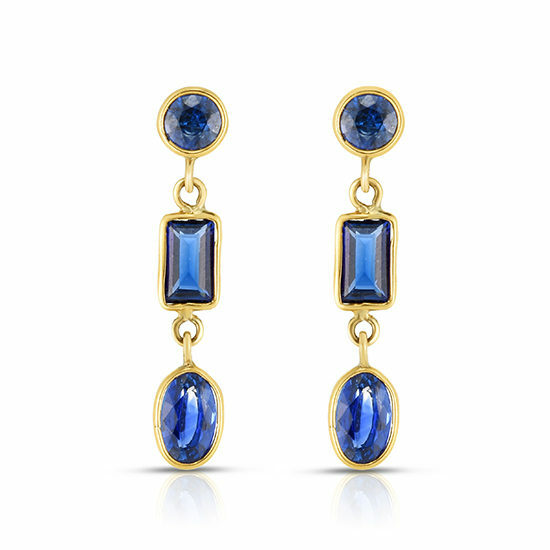 A beautiful pair of Sapphire drop earrings by Douglas Elliott for Marisa Perry. These earrings feature Round cut Blue Sapphire studs with straight Baguettes and Oval cut Blue Sapphire dangles in 14k yellow gold. Available for purchase in store and online. Earrings will be shipped once your payment is processed. Ships In: Ships within 5-7 business days of confirmation of payment.